Is it ever possible to have too much grit? Can we take just a moment and have a talk about grit? No, I’m not talking about the buildup of sand and dust from an industrial process. Rather, I’m talking about the stuff that motivates us. That causes us to keep striving to achieve a goal. This all sounds like good stuff and the kind of IT manager skills that we’d all like to have, but it does beg the question: is it possible to have too much grit? Just Exactly What Is Grit? 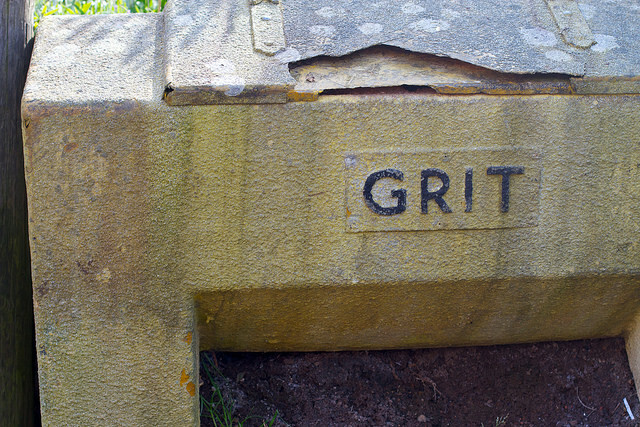 Let’s make sure that we’re all on the same page when it comes to understanding what this grit thing is. Grit is, simply put, when you show passion and persistence as you move towards a long-term goal. A great deal of research has gone into what grit can tell us about an IT manager. It turns out that the amount of grit that you have is a better predictor of the success that you’ll be able to achieve than either your talent or intelligence. IT managers who are “gritty” have been found to be the ones who excel in their job. They also have the best chance of being promoted. Studies have shown that the IT managers who have grit also have drive, emotional resilience and the ability to do focused planning. It is believed that CEOs may have higher levels of grit than other executives. With grit comes the ability to be resilient. IT managers who have grit know when to zig and when to zag. However, the one thing that they won’t do is give up. An important skill that IT managers with grit need to retain is knowing when they need to pivot. Can You Have Too Much Grit? As good as it may sound to have grit, there is, of course, a downside to all of this. It’s not covered in any of our IT manager training , but it is possible to become burned out because of your grit. This can happen when you don’t know when to give up. If you are not careful, excessive grittiness can end up derailing your career. You can find yourself in a situation where you may be acting too passionately towards a goal that you are trying to achieve. This can cause a problem because you’ll keep trying to win a losing battle even when your continued efforts will cost you an opportunity to earn a bonus. What all too often we don’t realize is that there is a value in knowing when to quit. What we are missing is feedback. Feedback from internal mentors, business associates, or family members. What gritty IT managers don’t do is consider alternative means to achieve their goals. Just because we started working on a problem one way does not mean that we will be able to achieve our goal if we keep working on it in that way. In the end, IT managers need to make sure that they know when they need to passionately pursue their vision and when to accept that the battle has been lost. We need to understand that when we have a failed vision, it’s not going to be held against us. In the world of IT managers, we’re never able to get everything that we want to get done right now (think IT team building). Instead, we need to set goals for ourselves and work towards them. Those of us who are able to focus on those goals and work towards them unfailingly are considered to have “grit”. This is the ability to be passionate about achieving a goal while working towards it. However, there is a downside to grit. If we are not careful, we can end up getting burned out over our grit. This is because we don’t know when to give up. We need to understand that some goals and visions just simply cannot be achieved and this means that we need to just walk away. For IT managers with grit, this can be very hard to do. Some level of grit is important for every IT manager to have. However, at the same time we need to be highly aware that too much can cause us problems. We need to keep our eyes open and determine when a goal can no long be achieved. However, until then, we need to keep persevering! Question For You: What is the best way for an IT manager to determine that they are working to achieve a lost cause? If you are an IT manager who works in the hotel industry it turns out that you probably have your hands full dealing with a recent set of attacks by cybertheives. It seems as though the bad guys who used to busy themselves going after retailers have now turned their attention to the hotel industry. Are your IT manager skills and your IT team ready to do battle with them? How Can A Manager Manage IT Workers When There Is No Company Loyalty? Are You A Socially Intelligent IT Leader? What Makes An IT Manager A Great IT Manager?